Take Away Nights, Alternative Dialogues 2012 project, commissioned and developed by Mission Gallery, and myself - an ongoing series of projects working with communities and groups in Wales. 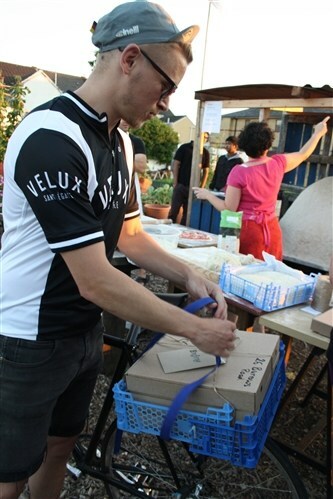 Take Away Nights became another project in 2012 based at Vetch Veg, in which we created a menu of four different pizzas, which could be ordered by ringing a special phone number. All pizza’s were free and were given in exchange for ideas about the city of Swansea. 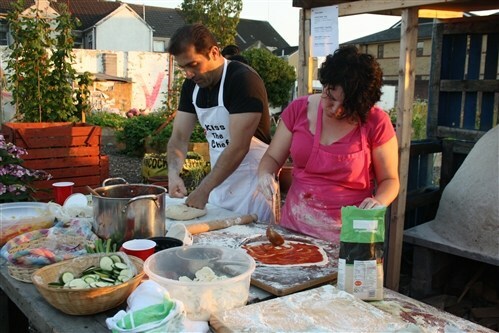 During August 2012, every Friday night we made over 300 pizzas and collected ideas and comments about the city of Swansea from people all over the city center area. 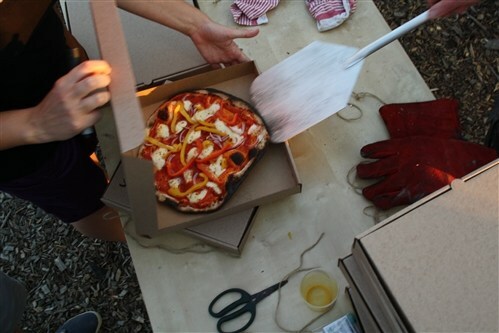 Each pizza was delivered by bicycle by a volunteer courier and the idea was collected on the doorstep. 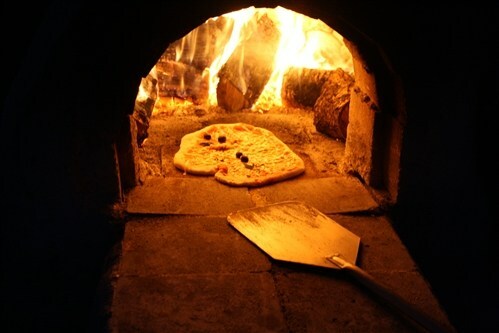 Pizzas were created with some fresh produce from the garden and baked in our own clay oven. 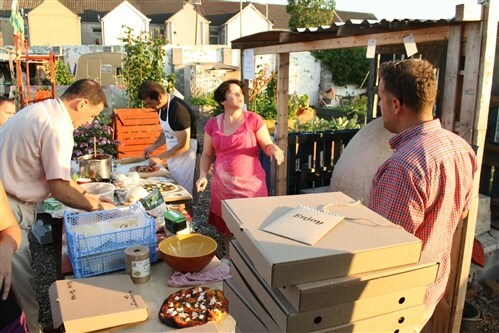 This process of dialogue and through the celebration of local produce and resources was about encouraging the local community to extend the process of vetch veg to look at the city as a whole, as a space that could be designed and shaped by its residents. The ideas connected read as a barometer for services, and changes needed, a creative visioning or consultation but with warmth and real exchange. Participants really considered their own square mile, their needs and dreams for a city stuck by financial decline and the problems of contemporary regeneration and poor public space. A bridge from Sandfields over the Oystermouth Road to the sea – grass it over – it can be done we’ve seen pictures! Find more unused spaces and start growing things on them! All the empty shops in Swansea to be given to artists and community groups – a list so people can match make – let them use the space at no charge and do what they want – much better than empty windows! A beach area just for dog walkers! Community collaborative artworks – one person starts them and then other people join in randomly on the streets – organic!